The Mile of History Association (MoHA) is a private, non-profit 501(3)(c) organization working with the Providence Preservation Society and the City of Providence to revitalize area infrastructure; ensure that properties in the area are in compliance with zoning and housing standards and Historic District Commission guidelines; and preserve and promote the historic character of the area for both residents and visitors. Known as the “Mile of History,” the Benefit Street area is home to one of the most extensive collections of 18th and 19th century architecture in the country. It is a vibrant and dense mix of civic, educational, cultural, and religious institutions interspersed with historically significant single- and multi-family residences. It is one of Providence’s premier destinations for heritage tourists. 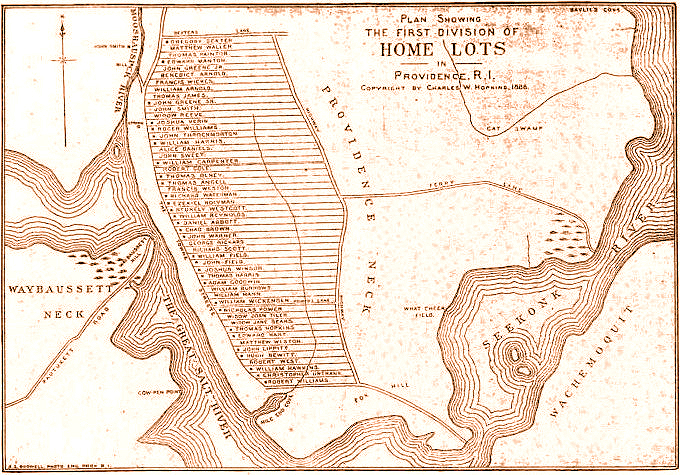 The original division of land by Roger Williams and the other proprietors created lots that ran from Towne Street (now Main Street) at the base of College Hill to a lane that is now Hope Street. In 1743 a petition was signed seeking to have a street cut through these lots in order to create more buildable sites. Due in part to the presence of family graves that had to be relocated to the North Burial Ground, construction of Benefit Street (then known as Back Street) did not occur until 1756–8. Since it was established for “common benefit of all,” the name of the street was changed to Benefit Street in 1772. 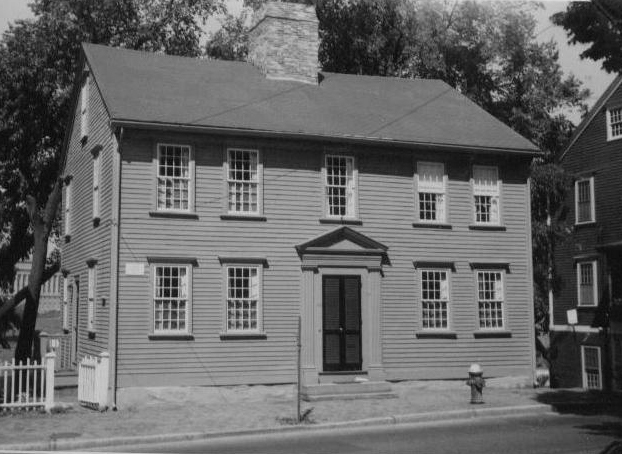 Following the construction of the Colony House (1762), Brick School House (1768), University Hall (1770-1), and the First Baptist Meeting House (1775), building flourished on the street after the Revolution and through the next century. The area became the governmental, social, intellectual, art, and music center of Providence housed in part in buildings that no longer exist. While the State house moved from the Colony House in 1901, the Providence County Courthouse (1933), RISD Museum (Pendleton House 1901), and new buildings for RISD (21 Waterman Street, 1892) and Brown University (List Art Building, 1970) continued to be built into the 20th century. Source: From Providence Preservation Society’s Guide to Benefit Street: A Mile of History (1980, 1995). By the 1950s many of the early buildings, particularly those on the north end, had deteriorated. Preservationists formed the Providence Preservation Society (1956) and drafted the College Hill Plan (1967), a unique urban renewal plan that advocated restoration rather than demolition. Mrs. Malcolm Chase purchased a number of the homes, restored the exteriors, and then resold them at the original cost plus the cost of restoration. Soon others began restoring buildings on the street, such as Darby Ott who was a collector of 18th century furniture. In addition, a number of historic buildings were moved onto the street from other parts of Providence, and during this same period, the Episcopal Diocese acquired the Hallworth House and the Edwards homes in the area between Church Street and Star Street. While we can be grateful that these historic buildings were saved from demolition, the preservation movement was not without controversy. As has been the case with many historic preservation projects, the buildings were saved, but the lower income, mostly African American residents, were displaced from the neighborhood as a result. As more and more houses were restored, the City of Providence, in collaboration with area residents and the Providence Preservation Society, made major investments in the area in the form of new brick sidewalks, signage, and historically appropriate streetlights. Over the last few decades, however, city budget shortfalls and economic downturns precluded ongoing investments in the area, resulting in the current need for renewed efforts to revitalize the area’s infrastructure. • A number of small businesses, including several health-related businesses, a salon, restaurants, cafés, and a B&B.